There's no need to throw the Cheese Sauce recipes out the window this Jan, we have the perfect Low Fat, Low Calorie Cheese Sauce Recipe that takes only one minute to make...and tastes just as good, if not better! 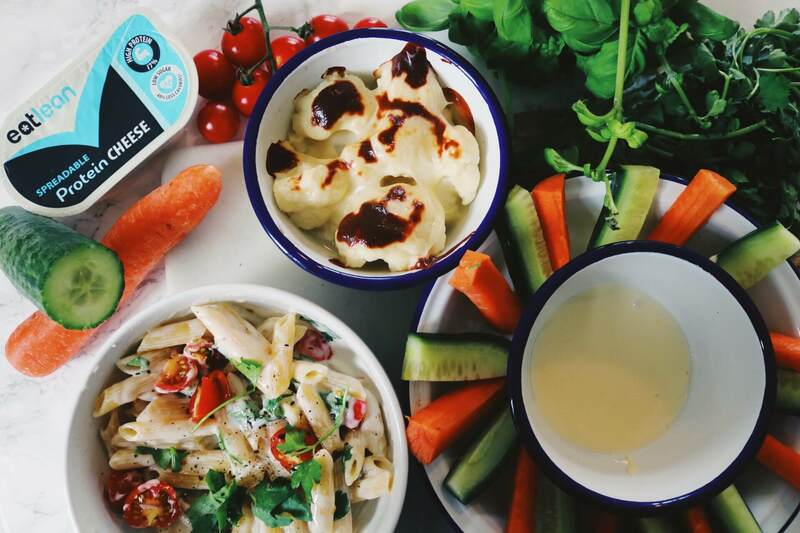 Our Eatlean Spreadable is a great alternative to a homemade or shop bought cheese sauce. There's no need for the high fat or calorie content, our Spreadable protein cheese melts perfectly, tastes delicious and boats a great protein hit too. Simply remove the film from our Eatlean Spreadable and pop into the microwave for just 60 seconds, there you have the perfect low fat cheese sauce to pour or stir into your favourite dishes! HOT CHEESE DIP – Serve in a warmed dish, with crudites, breadsticks, whatever you fancy! CHEESE PASTA – Stir through cooked pasta with your choice of ingredients – we love bacon, tomatoes & parsley!